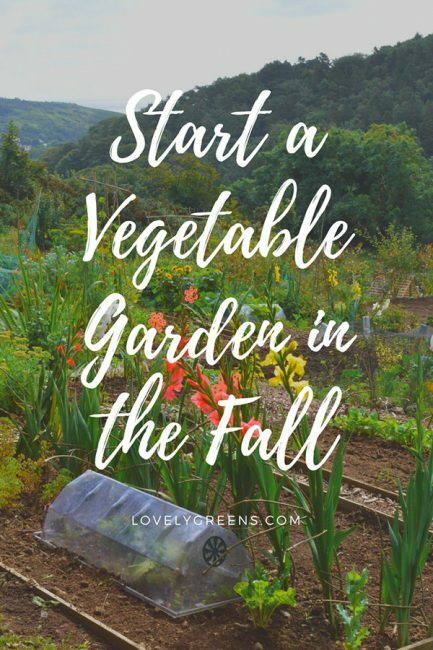 Fall or Autumn, call it what you will but it’s the best time of the year to start a new garden. In my experience as an allotment secretary, most new gardeners tend to arrive with the spring flush. Full of energy and excitement they begin digging and planting and generally wearing themselves out. 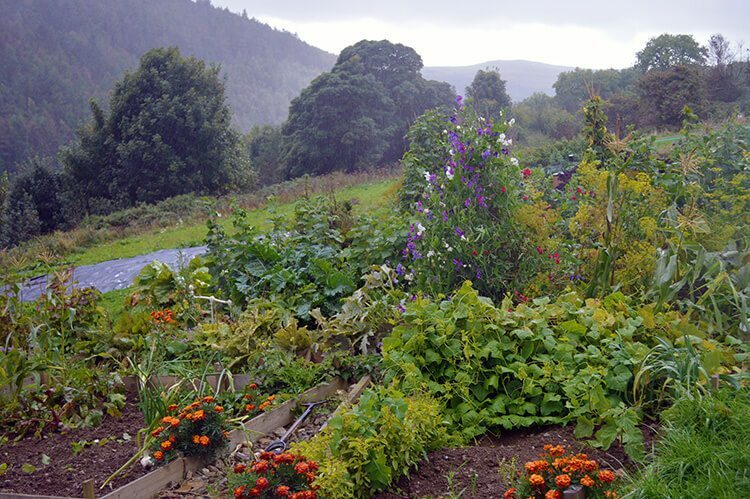 They also have a lot more challenges, since perennial weeds and their seeds will be competing with veg, and there’s generally a lot more to do in a lot less time. 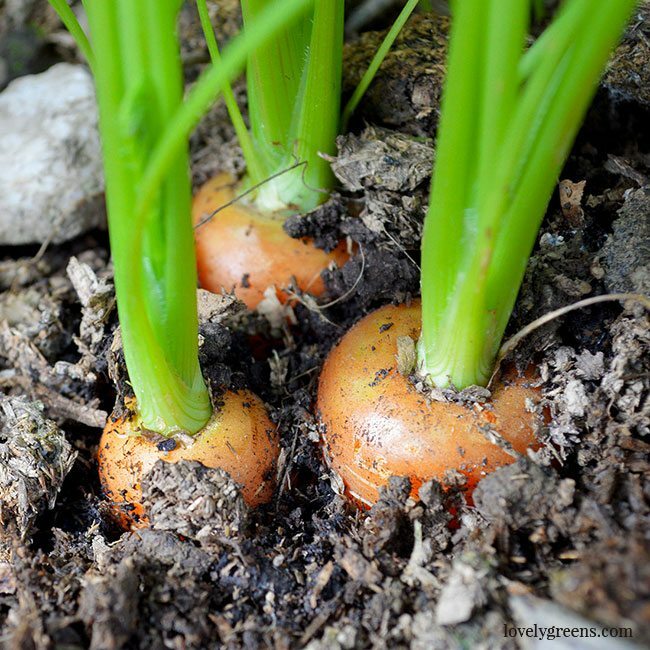 The organic gardening tips below will help you get a head start on creating an edible garden. Starting work in the autumn instead of spring will first off save you a lot of time and stress. It will also help ensure that your soil is protected and that next year’s crops will be bountiful. If you’re starting your veggie patch from scratch the sea of grass and weeds might seem daunting. You might even be tempted to use a herbicide to kill everything and start from a blank canvas. If you do, you’ll be doing your garden a disservice. Soil is a complex ecosystem made up of billions of organisms and the more vibrant this micro-community is, the healthier your garden will be. Over cultivation and use of chemical pesticides, herbicides, and fungicides can disrupt this balance and also make gardening a lot more difficult and expensive. The simplest way to clear land is by suppressing the vegetation. 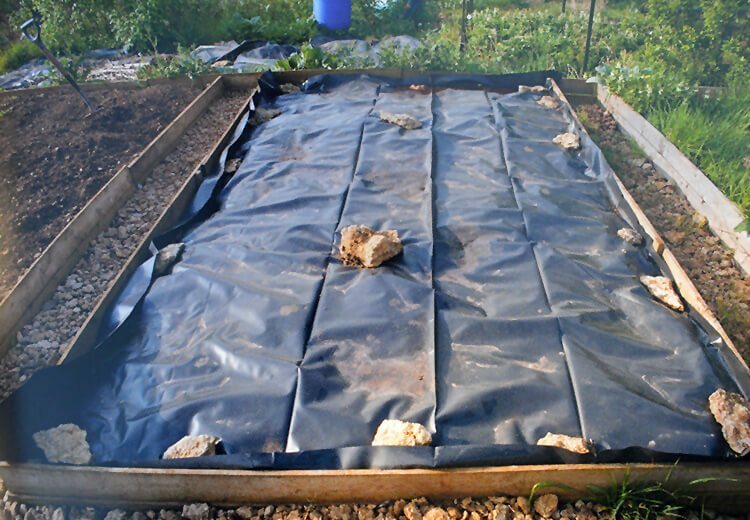 There are a number of ways to do it but my favourite is laying dark polythene plastic over the ground. Over a period of 2-3 months the annual weeds underneath will die off and the worms will have pulled the rotted material down into the soil. Some perennials like creeping buttercup need up to six months to die off, and others will hang on for up to a year. When you lift up the plastic you’ll be able to spot them easily and then manually dig them out. You can further enrich the soil by covering the grass and weeds with compost or composted manure before you put the plastic down. By the time you uncover it, the soil underneath will be tilled and fertilized and most likely ready for planting. Just make sure that troublesome perennials like dock or brambles have been removed first. Read more about using plastic to suppress weeds over here. No-dig gardening is gaining momentum and as you can guess, its principle is avoiding digging the soil at all. Charles Dowding is a fervent supporter of this method and his decades of experience prove its efficiency. The main idea behind it is that the soil is a living organism and that disruption by digging upsets the balance. It also makes weed problems worse since weeds are the soil’s way of healing an open wound. No-dig land clearing include the polythene method mentioned above. You can also dig perennial weeds out individually and then apply a six inch layer of compost on top — you might even be able to plant into this compost immediately. Learn more about no-dig over on Charles Dowding’s website. If you’ve just moved into a newly built home, it’s probable that you’ll be starting your garden on poor quality soil. 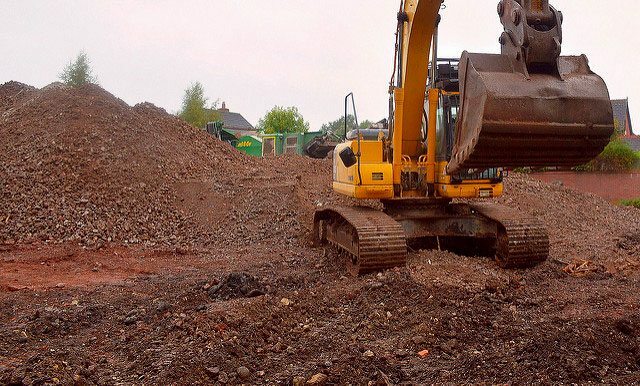 When new homes are built the top soil is removed to make way for the building’s foundations and it’s often times taken somewhere off site. Its absence is often times disguised by the rolls of grass that are laid down to create the lawn. It’s sub soil underneath rather than fertile top soil. Sub soil can be full of trace minerals but devoid of nutrients. Planting into it is like serving up a meal of mineral supplements and nothing else. What you’ll need to do in this case is bring organic nutrients back to the land by means of compost and composted farmyard manure. Rather than apply it to the entire garden, stake out beds four feet wide and layer it there — a full foot of compost isn’t too much. Cover it over the winter to keep it protected from erosion and come spring, the soil will be perfect for planting into. Worms and micro-organisms will have moved in and all the goodness from the compost will have had a chance to infuse into the ground. One thing you should always ascertain when you start a new garden is the soil’s PH (potential of Hydrogen). Testing for this tells you how acidic or alkaline the soil is and if it would benefit from the addition of garden lime or sulphur. Most garden veg prefers growing in soil that’s neutral (7.0 on the PH scale) to slightly acidic. You can correct overly acidic or alkaline soil by adding amendments in late Autumn. Plants don’t grow well in soil that isn’t balanced since its more difficult for them to take up nutrients. You could have a fail to thrive situation if the conditions are outside of the optimal PH window. Years of adding compost and manure will help to balance the PH but this is more of a long term strategy. It’s best to test your soil’s PH with a PH Testing Meter and amend it the first year, if necessary. Raised beds aren’t for everyone and there’s a strong case against them when it comes to slugs. They create places where they can hide and lay their eggs so many choose not to grow in them. I’m the other person who swears by them. It’s partially because my garden is on a slope and the beds help stop erosion. I’m also a fan because they let you build the soil up over challenging soil — in my case, clay. 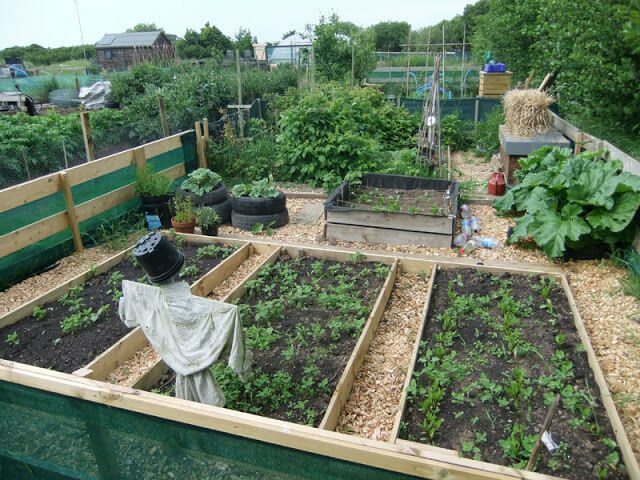 The last reason I like raised beds is because they look neat and tidy and create defined edges. Late autumn and into winter is the best time to put in raised beds and other hard landscaping. 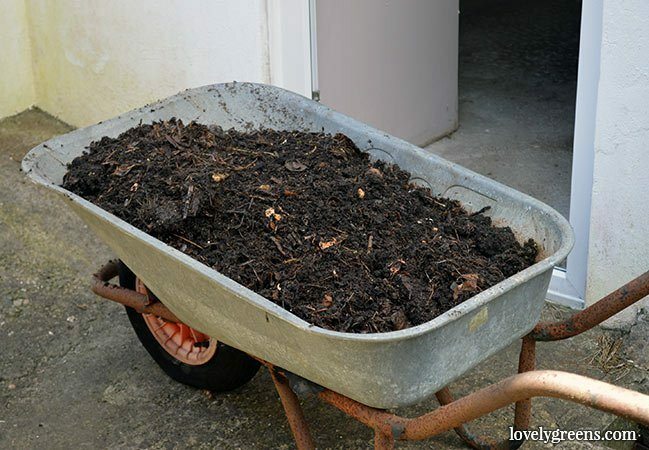 In starting a new garden it gives you a framework for adding compost and manure. There’s also no plants to hinder your building efforts. Aside from raised beds, you want to also think about creating garden paths. Grass and weeds left growing between your growing spaces has a tendency to spread into your beds. 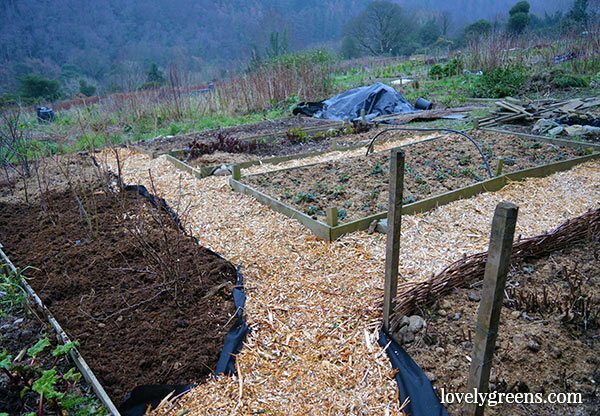 There are many solutions for creating weed-free paths but mine are made with wood chips. First a layer of weed resistant material goes down on the ground, then one to two inches of wood chips. It’s done wonders with keeping my garden tidy and reducing weed spread. Learn more about how to do it here. The time to prepare for the next gardening season isn’t in spring, but in the Fall. 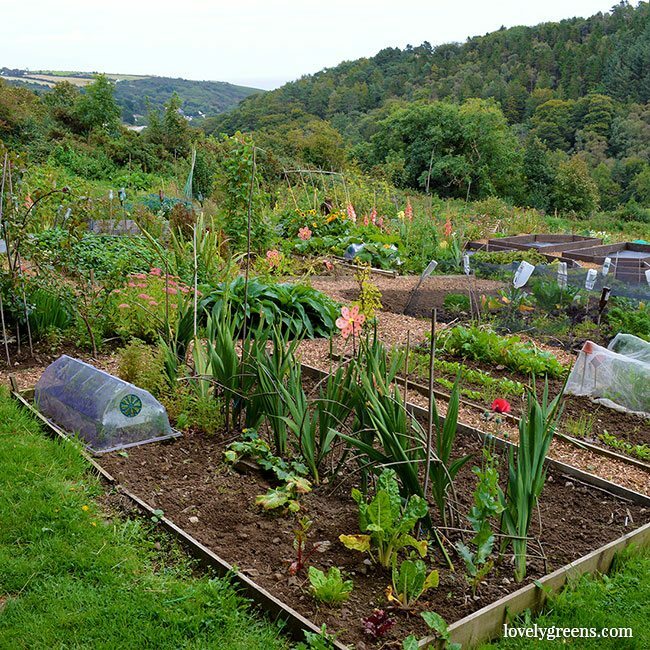 This is the case whether you’re preparing an established garden for another successful growing year or starting a new one. The goal is creating a hospitable place for edibles to grow and it’s better done slowly during the cooler months than at the last minute in spring. If you have any questions or comments please leave them in the form below and I’ll be sure to get back to you. Learn more about the complexity of soil by reading this book: The Soul of Soil: A Soil-Building Guide for Master Gardeners and Farmers. I thoroughly enjoyed reading and learning I also took a challenge and ordered various seeds I had not explored based on your articles. I’m very new to gardening and am enjoying the Back to Eden method.